It’s no wonder people seek out pictures of the Eiffel Tower. Not only is it one of the most recognizable places in the world, but it is an indelible part of the Parisian skyline. From atop the Paillais de Chaillot, sits the statue of a woman looking across the Seine onto the Eiffel Tower. The Paillais de Chaillot was originally the headquarters of NATO, and was also where the UN signed the Declaration on Human Rights. Looking straight up into the Eiffel Tower, one starts to understand the engineering marvel that it is. The tower was built off-site and then pieces were shipped to its current location and put together. Regardless, the view evokes a sense of wonder. Visitors can climb more than 1,500 steps up to the second level. The third level, however, is only accessible by elevator. 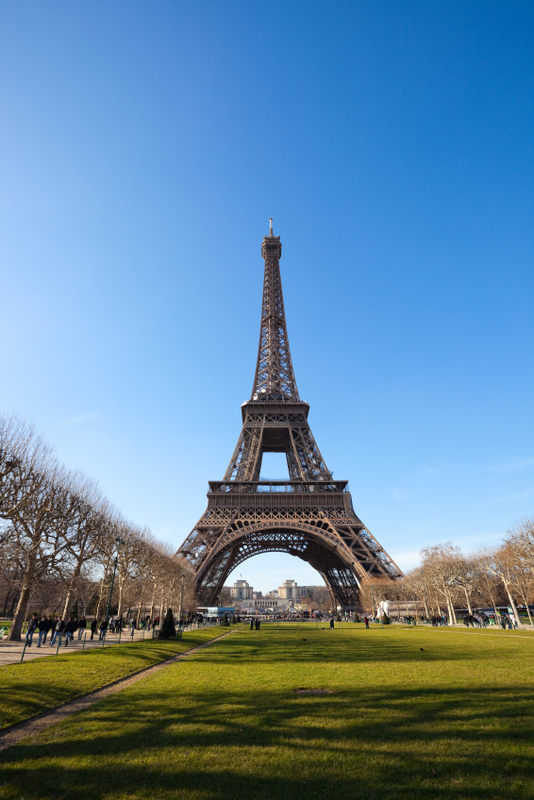 You can buy tickets to get to the top of the Eiffel Tower. They run around $17 per adult in your group. It is much cheaper to take the stairs – although then you cannot get to the very top. Plus, you may be too out of breath to enjoy the view. Few images evoke as much romanticism as the Eiffel Tower. From its inception is has been awe inspiring. As one of the most recognized landmarks in the world, you don’t have to visit to appreciate its beauty and magnificence. Of course, seeing pictures of the Eiffel Tower hardly does it justice.